Vancouver Island is the gem of the Pacific. 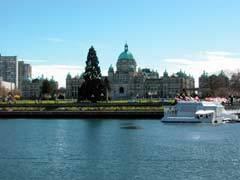 A beautiful and diverse island off British Columbia's west coast, it has glorious rainforests, amazing wildlife and many different destinations, each with its own charm. Kilometers of beaches, acres of forests, intriguing towns and fantastic adventure abound. 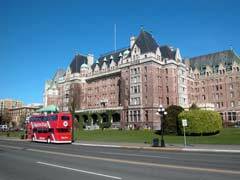 Victoria, the provincial capital, sits at the southernmost tip of Vancouver Island and is the island's largest city. 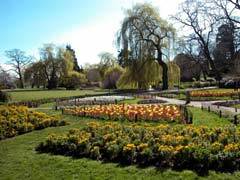 Parksville and Qualicum Beach are just a scenic hour and a half drive north of Victoria. Parksville and Qualicum Beach offer long sandy beaches and world-class golf. On the west coast of the island, the Pacific waves attract brave surfers and windsurfers. A few hours from Victoria on the west coast, lies the charismatic town of Tofino, known for its fantastic fishing and stunning beach, Long Beach. 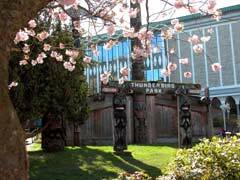 A visit to Tofino should also include a drive through Cathedral Grove and the Carmanah Valley to be amazed by the rainforest and its giant stands of redwoods. The northern part of the island boasts great fishing and rich wildlife, including lots of opportunities to see killer whales (orcas). Fish, hike, kayak, surf, scuba dive and explore Vancouver Island or just relax and take in the breath-taking scenery. Beauty, peace and tranquility converge with plenty of adventure on this island. Let Platinum Vacations introduce you to an island getaway. Current weather for Victoria, BC on the southern tip of Vancouver Island. Current weather for South Vancouver Island, BC. The Malahat is the mountain North of Victoria, BC. Current weather for Nanaimo, BC at the mid point of the southern half of Vancouver Island. Current weather for Campbell River at the midpoint of Vancouver Island. Current weather for Port Hardy at the northern end of Vancouver Island. Current weather for Tofino, BC on the West side of Vancouver Island in the Southern half.